Despite the ubiquity of social media, it’s incredibly rare for a production to actively encourage the use of it. Yet this is the case with Lost Nation from The Red Room production company, where the production is clearly only the starting point for further discussion. As such, this is a multimedia presentation. It all begins with a well-edited documentary film that details the situations of various members of the Brent community in north-west London. Each is receiving benefits, such as housing, child support or disability allowance. These are real people describing their lives, juxtaposed with middle class views of people’s dependency on the welfare state. This is a provocative and eye-opening piece that gives a much needed voice to the titular ‘lost nation’. 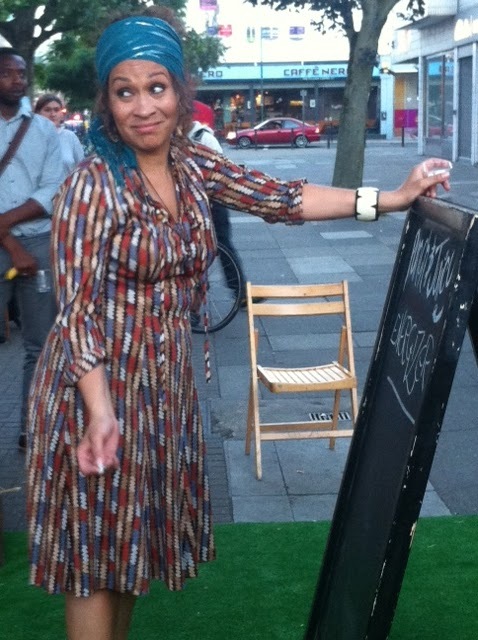 As an extension of the film, each of the performances includes a different monologue, performed on the streets of Kilburn. 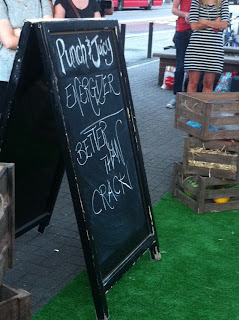 What is marketed as a “physical journey through streets and buildings” is in fact a static piece on Kilburn High Road, but its setting is in the heart of the area in question providing tangible context. The set is reality itself. 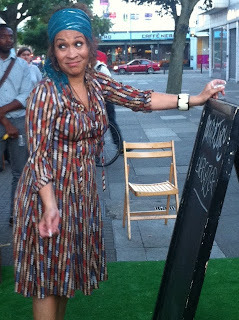 This particular performance was ‘Monique’, a verbatim monologue performed by Martina Laird. The theatrical style allows us to witness the story first hand, Laird reciting in conversational, naturalistic fashion that heightens the realism of the piece. Though the story concerns a woman suffering from a disability, her mantra of “mind over matter” allows her to overcome the hardships of her dependency on the welfare state: this is ultimately an uplifting and positive tale. The real question, however, is the purpose of the piece, beyond informing ignorant, middle class theatre goers. Awareness is great, but Lost Nation offers little in the way of suggested solution – as an audience member, I was left feeling helpless. With its emphasis on verbatim, this is closer to performance art than a piece of drama – is this theatre, charity or community project? It’s certainly enlightening, if bordering on guilt-tripping. What’s most important, though, is the post-show discussion and the opinions therein. Lost Nation is part of the ‘Poverty Project’, though this was only made explicit on the press release – the production contained no allusion as to the The Red Room’s considerable wider work. This has the potential to be a powerful piece, but would undoubtedly benefit from reaching a wider audience to continue its momentum. 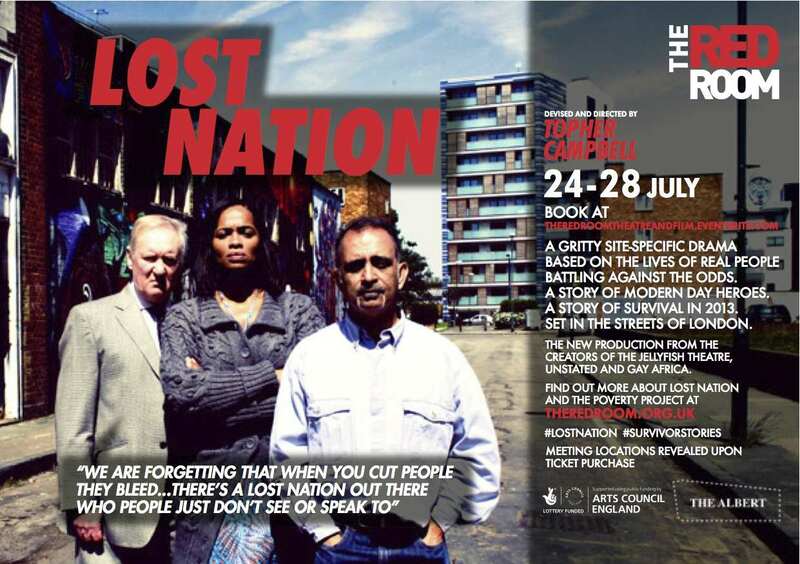 Watch: Lost Nation is performed from 24th-28th July, info here.